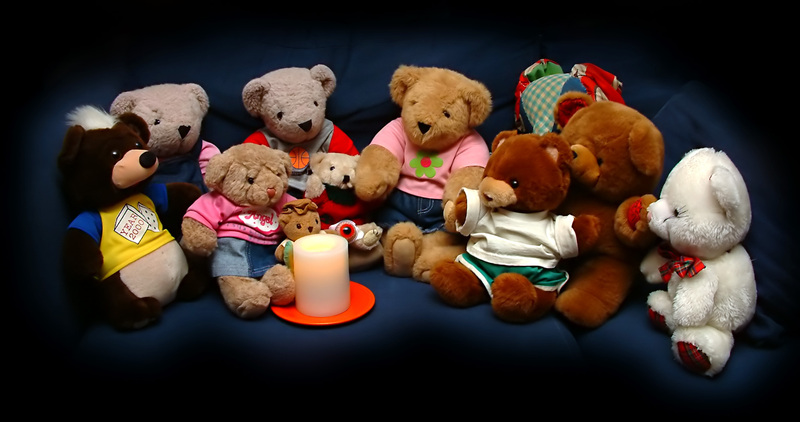 Theodore and Tilly-Bear invited ten of their friends over for a picture. Can you find all ten of their friends? Move your mouse pointer over the picture to use Theodore's magnifier to help you out. 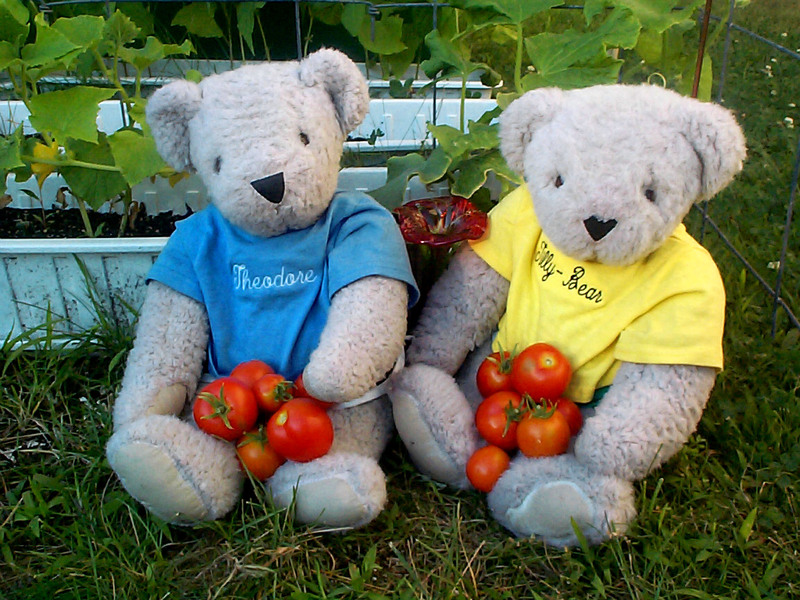 Theodore and Tilly-Bear had a contest to see who could grow the most cherry tomatoes in their garden. How won? Move your mouse pointer over the tomatoes in the picture to use Theodore's magnifier.